The history of our Solar System started 4567 million years ago with the condensation of the first solids from the cooling solar nebula. Later, the accretion and collisional processes led to the formations of the planetesimals, km-sized bodies that formed the building blocks of the protoplanetes. During the early stages of planetary formation endogenous processes came into play and, for some planets, are still continuing today. As a consequence, the geological evolution of the major planets at timescale that span the age of the Solar System slowly erased the primordial physical and chemical signature of the protoplanetary disk. Fortunately, for a peculiar class of objects the evolutionary history halted very rapidly after only ~ 6 million years from the onset of planetary system formation. Deep inside their structure, frozen in time, shielded from most destructive processes those early days of our Solar System are still recorded. The only remnants of the planetary system formation are the minor bodies of the Solar System: the asteroids and the comets, true living fossils dating back from the dawn of the Solar System. If we can trace back their history then we are able to reconstruct the original physical and chemical environment from which our own planet, the Earth was formed and also to identify among our closest neighbors the stars were planetary systems are still forming today. Understanding the formation and evolution of these objects, their distribution, composition and physical properties is now the fundamental goal of the planetary sciences due to the implications in broader fields like planetary formation or the origins of life on Earth and the Universe. Like any other record, the one kept by the asteroids is not perfect. During the Solar System existence, but more intensely in the first ~500 million years the asteroids experienced collisions, thermal alterations and migrations from their original formation sites under the influence of various dynamical processes. For the recovery of this record we have to employ methods addressing both the physical and dynamical properties of the asteroids in the investigation of their current composition and distribution in the Solar System. Even if the total mass of the asteroids is insignificant in rapport with the total mass of the planets, their large number, wide distribution throughout the Solar System and extremely divers composition provide us powerful constraints for the formation of our planetary system. 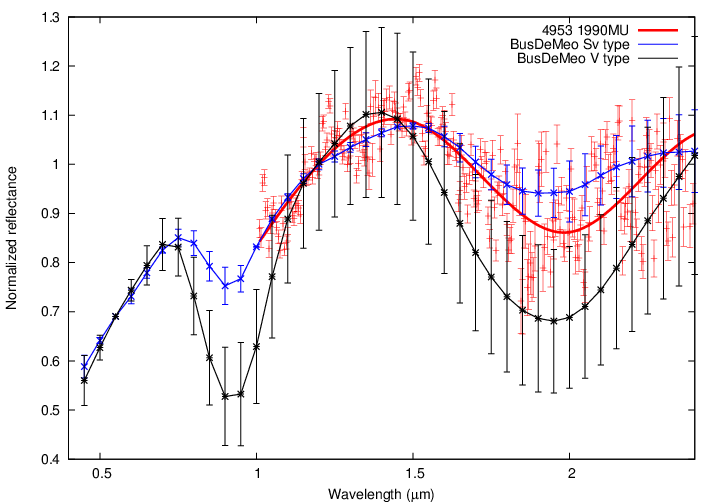 Our project - “Physical studies of the Solar System bodies” is placed in the broader field of Planetology and it is based on the PI previous experience in VNIR (visible and near-infrared) spectroscopic observations of the asteroids and spectral data analysis. One of its goals is to establish the foundation of a Remote Observing Center (ROC) at the Astronomical Institute of the Romanian Academy, a facility integrated with those of other institutions and fully compatible with the software and hardware interfaces of the most important world telescopes that can be operated in remote-mode. This observation mode allows the observers to reside in a location arbitrary far and often more comfortable than a high altitude summit observatory drastically minimizing the cost of observational programs since no travel is required from the home institution to the telescopes. The successful remote observations are the results of several factors: the qualifications of the observers for the science obtained through the program, difficulty of the program in the frame of the routine observations, the knowledge of the telescopes and instruments by the observers, the knowledge of the high level interfaces for data acquisition and, very importantly, the coordination between the remote observer and the technical staff located near the telescope. Remote observing technique is a powerful interactive tool with a high efficiency scientific output if a solid computing infrastructure, high rates, redundant INTERNET connections and compatible audio-video conferencing tools exist. The users will acquire the necessary expertise in operating the world largest telescopes and state-of-the-art astronomical instrumentations, building an otherwise unavailable solid observational background. During the 36 months of the project we acquired (using the ROC), reduced and analyzed and publish NIR spectra of asteroids. 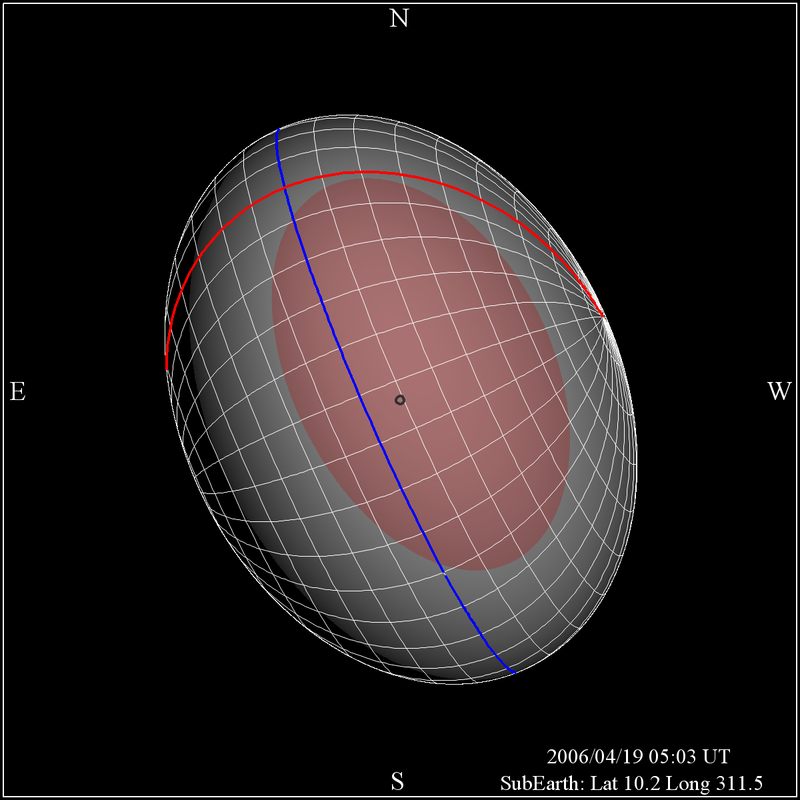 Remote observing of asteroids from ROC (Status: original milestone of 10 observed asteroids exceeded in January 2013. Including additional observations scheduled for June 2013, 21 hours of observations were awarded to project's team in a peer-reviewed research proposals competition. A total of 20 asteroids where observed in the first 2 years of the project). The project was funded by a grant of the Romanian National Authority for Scientific Research, CNCS-UEFISCDI project number PN-II-RU-TE-2011-3-0163, contract number 1 from 14/10/2011.